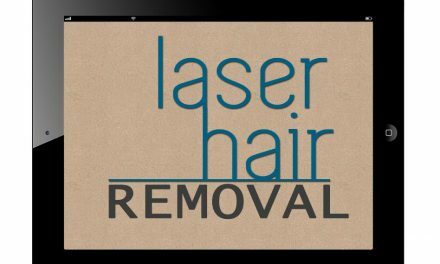 Laser hair removal for women is an amazing advance. The convenience and permanence are a huge advantage over alternate methods of removing unwanted hair. Let’s be perfectly clear. The purpose of laser hair removal is the permanent reduction of unwanted hair. Understanding the difference between permanent hair removal and permanent hair reduction is important. The FDA requires that this distinction be made clear. When discussing laser technology, we stress realistic expectations. Our initial consultation is completely. We also offer a free demonstration so that you can learn how it feels. You have nothing to lose. There is no hard sell. There are no complicated legally binding contracts unlike our competitors. We are a respected and established doctor’s office with an impeccable reputation. We highly recommend that you have your laser treatments performed in a doctor’s office. The doctor must really be on site. The physician must always be physically available in the building under all circumstances for any questions or advice. Safety is often overlooked. Some people consider that laser hair removal is like having a haircut. Direct supervision by a doctor who is present in the building at the time of the treatment is extremely important. At Happel Laser, these important prerequisites are fulfilled. 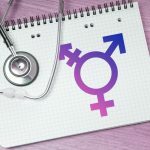 At our established reputable medical office, we are proud of our long-standing and trustworthy reputation in our community. We pride ourselves in not being a part of a national laser chain or a franchised laser office. Our experience in laser hair removal in Pittsburgh is unequaled. Compare our 17 years of experience doing laser hair removal for yourself. Do not you commit to an expensive long-term contract which is required by our competitors. The status quo at national laser chains and medi spas is mandatory front loaded packages that cost thousands of dollars. 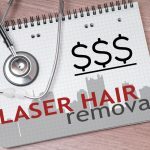 Our approach to hair removal pricing is unique. Pay as you go and pay for only what you need. Most importantly, do your homework and research before making a final decision on your hair removal facility. 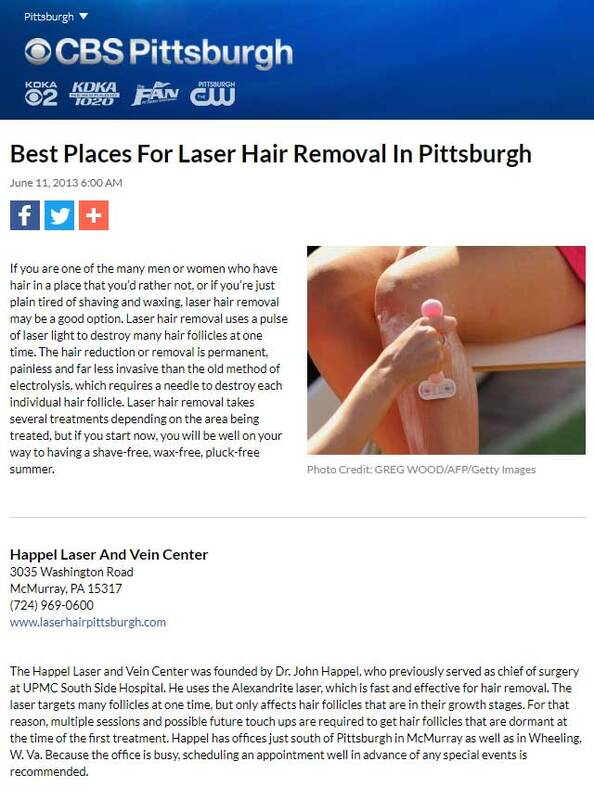 We are the most experienced laser hair removal facility in Pittsburgh. Avoid the temptation of responding to costly advertising. Remember that those advertising costs will be incorporated into the price of your procedures. At our professional medical center, there are no binding legal contracts or expensive packages. Therefore, there isno fine print. We specialize in only laser treatments for hair removal and vein removal. Pleases read the articles on this web site and some more great articles at www.laserhairpittsburgh.com to learn the truth. We have garnered some great reviews and are very proud of our irreproachable reputation. Please research all of your options. Integrity, honesty, and great results at an affordable price in a true medical facility are what we offer. Investigate the alternatives with due diligence. Laser hair removal is an investment in yourself. It is truly life changing. You deserve it.